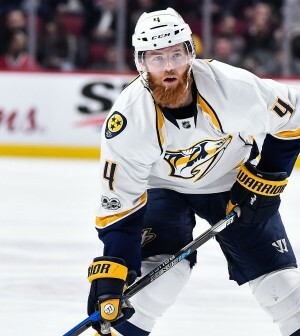 The Nashville Predators have locked up Ryan Ellis for the long-term. The team announced Tuesday that they have signed the 27-year old defenceman to an eight-year, $50 million contract extension. The deal will pay him an annual average of $6.25 million and keep him under contract through the 2026/27 season. Ellis, who was selected 11th overall in the 2009 NHL Draft, has posted 55 goals, 118 assists and a plus-76 rating over a span of seven seasons and 396 games with the franchise. The signing solidifies the Predators top 4 defensive core, which also includes P.K. Subban, Roman Josi and Mattias Ekholm.